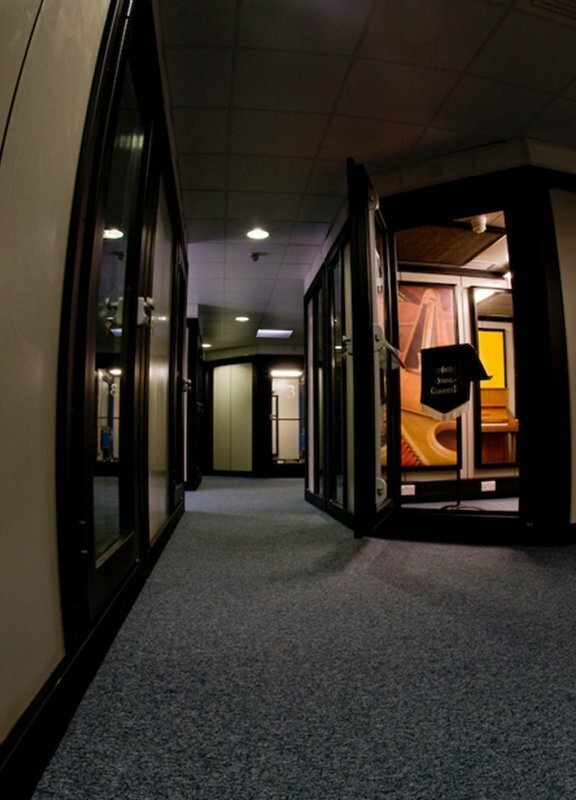 Whilst installing a brand new set of bespoke instrument storage at Dragon School in Oxford, we were informed that the music department had recently applied for planning permission to drastically extend the existing music school. The Dragon School found an unused space abutting the existing music department, where they could erect a temporary building. It may not sound like much at this stage, but this humble temporary building was soon transformed into something extraordinarily special, solving all the aforementioned problems. 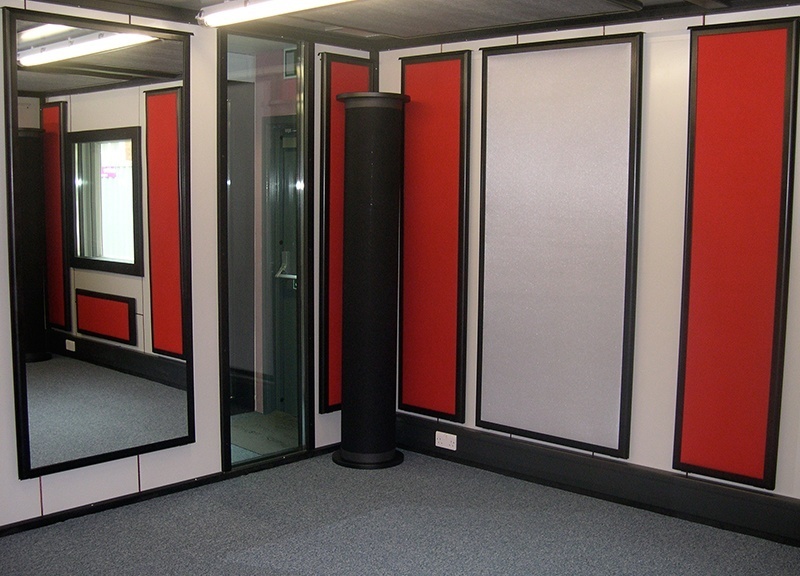 Plans were put in place to install 13 brand new Boxy modular acoustic music studios within the temporary building. This included floating floors, suspended ceilings and fully decorated and carpeted hall ways. 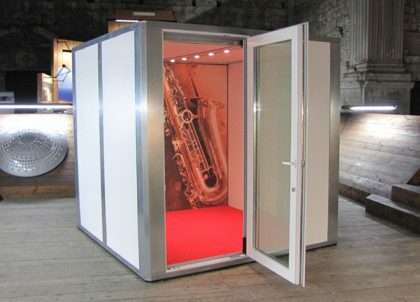 Now, at this stage it must be explained, that despite the guaranteed acoustic rating our rooms can offer, the stunning and unique design of the rooms, the speed of installation and the flexibility of acoustic attenuation, one of the crucial benefits of the rooms is that that can be dismantled and re-installed into any space. 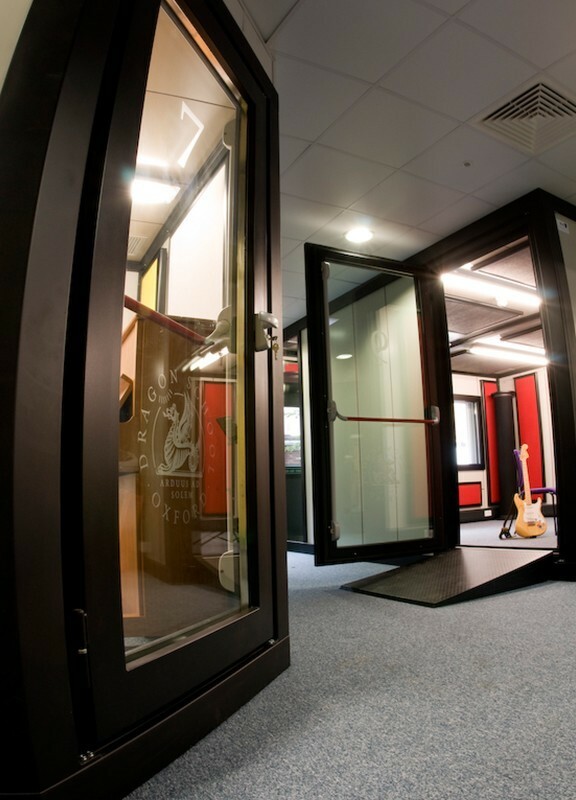 Therefore, when the school finally get permission to extend their physical music department they are going to re install the very same rooms into the new building – thus saving a great deal of money, time and effort in the future, without hindering the quality they need in the short term. Perfect. 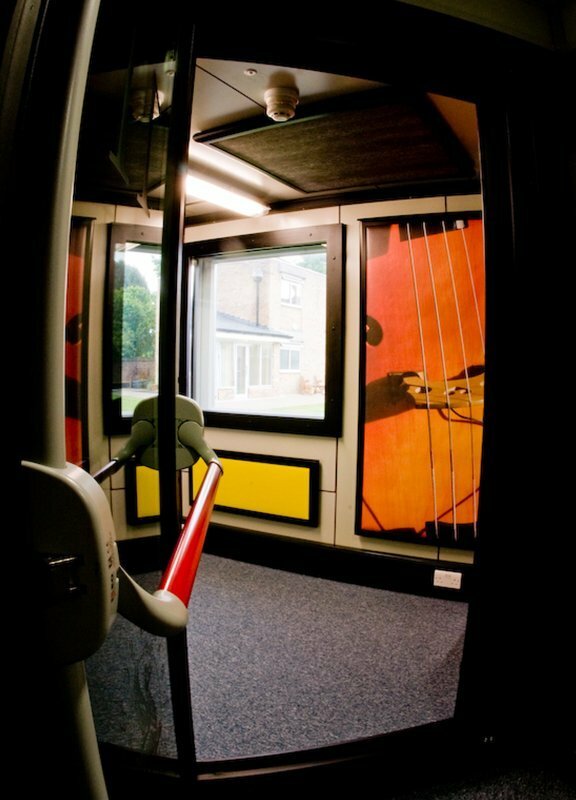 “With the prospect of building a new music school receding, it was necessary to seek some interim improvement to our cramped and out-moded facilities. 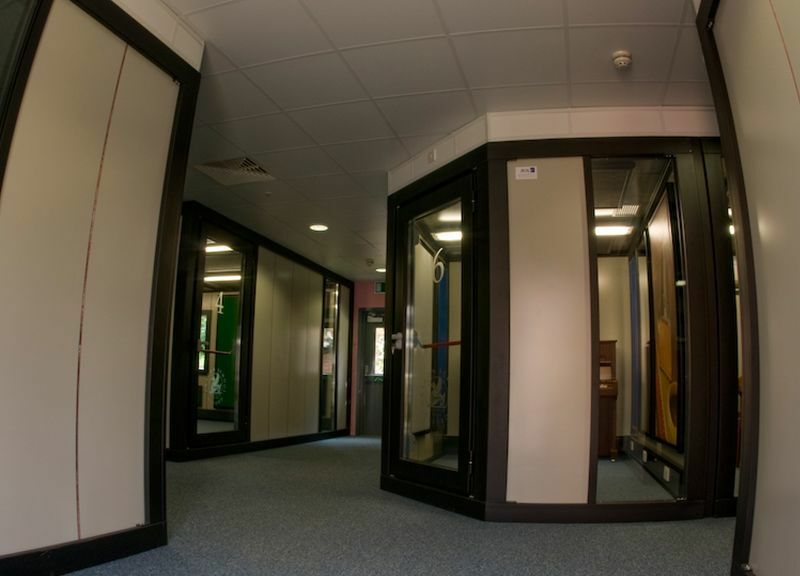 From the first visit to Italy to view the Boxy modular rooms it was clear that here was a product that would not only provide the immediate (and cost effective) up-grade we needed but would also shape our future thinking. Once we had agreed some basic criteria the design process was slick, consultations were comprehensive and courteous and, when it came to the construction, marvellously swift and efficient. The modular rooms themselves are quite simply superb, with very little sound transference or leakage, and the whole building feels light and airy despite there being only four windows in the portakabin shell. The controlled environment in each room is comfortable and the décor attractive. Many thanks to Dragon School, Oxford for featuring in our Case Study.